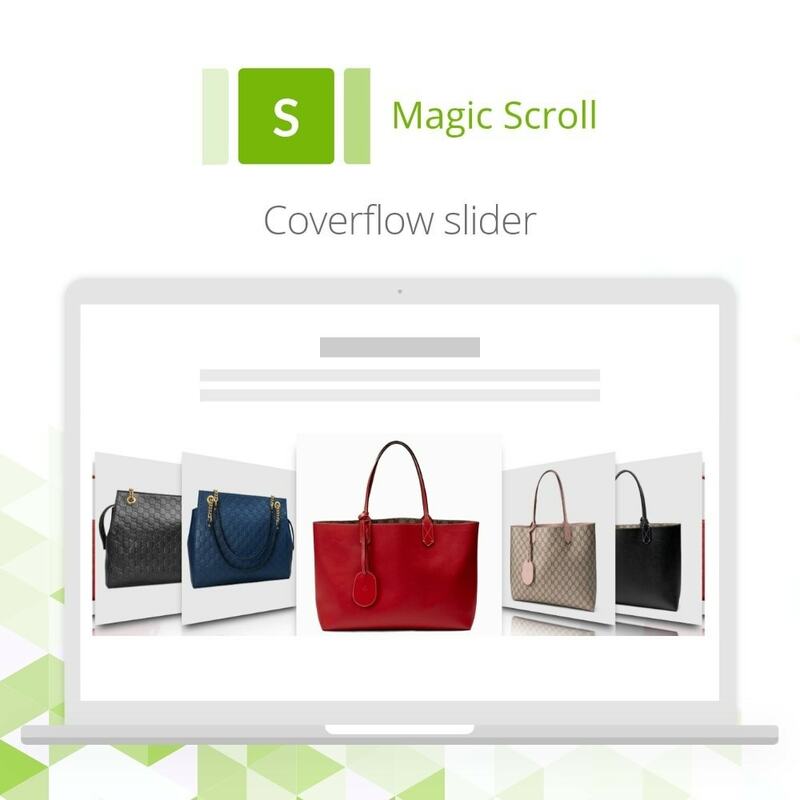 Perfect for scrolling through lots of images in a neatly confined space, Magic Scroll has uses all over your site. Homepage; product pages; search results page; category pages & more. 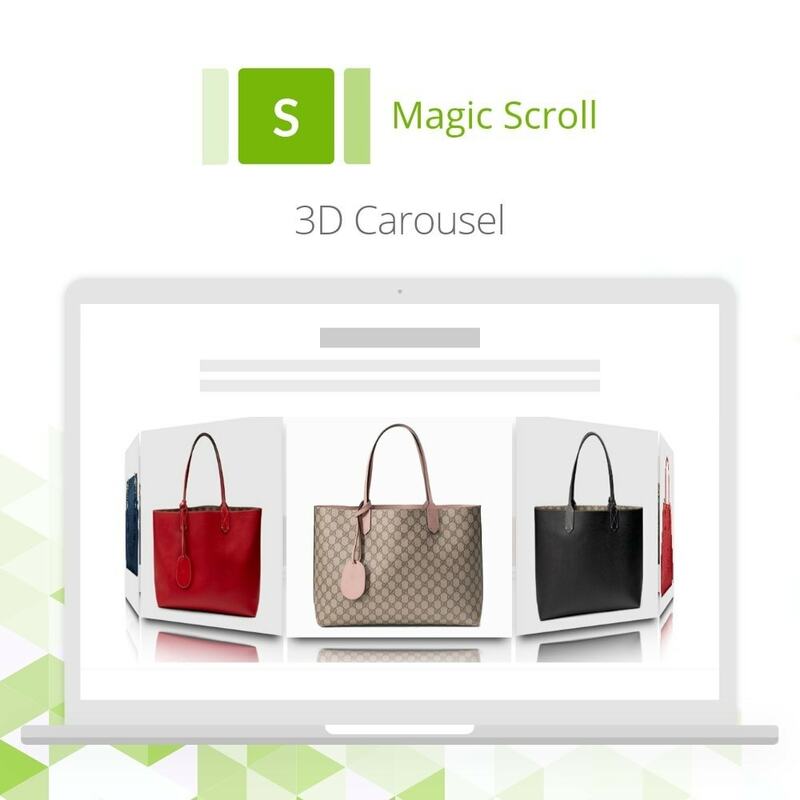 Offers 4 scrolling effects: scroll; 3D carousel; cover-flow & animated. 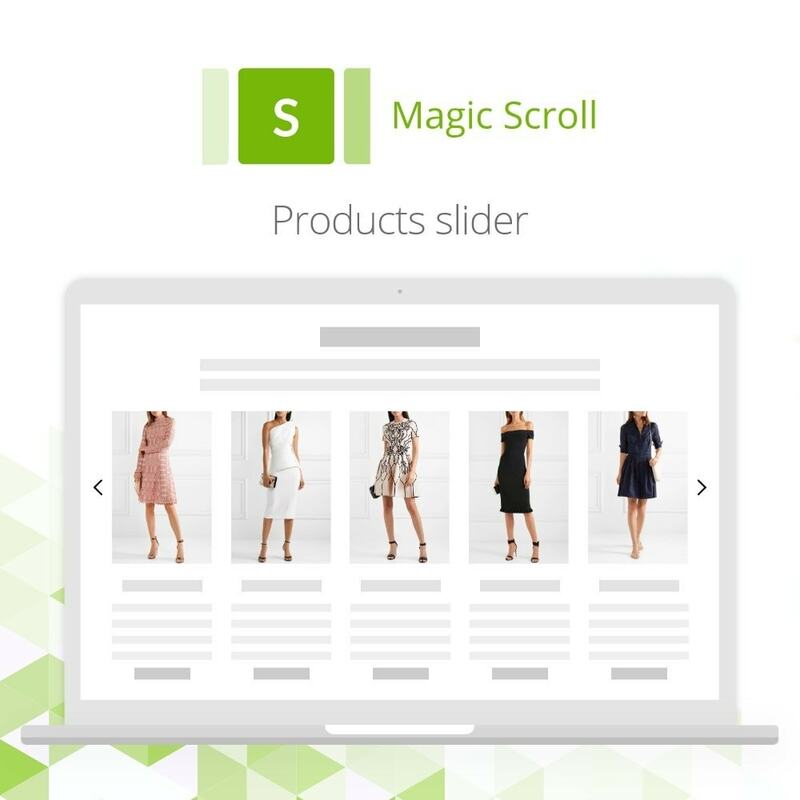 Magic Scroll is elegant to use, works on all devices & will perfectly fit your online store. Whether your company has 1 store or 1000+, the rules are the same: SHOW your products, don't tell. Carousel effect creates a stunning 3D style to showcase your images. Cover-flow effect let's you stack lots of images in a row like Apple iTunes. Responsive design to perfectly fit the space, wherever you put it. Continuous, non-stop scrolling for when you want to keep your content flowing. Total control to swipe images on touchscreens and drag images on desktops. 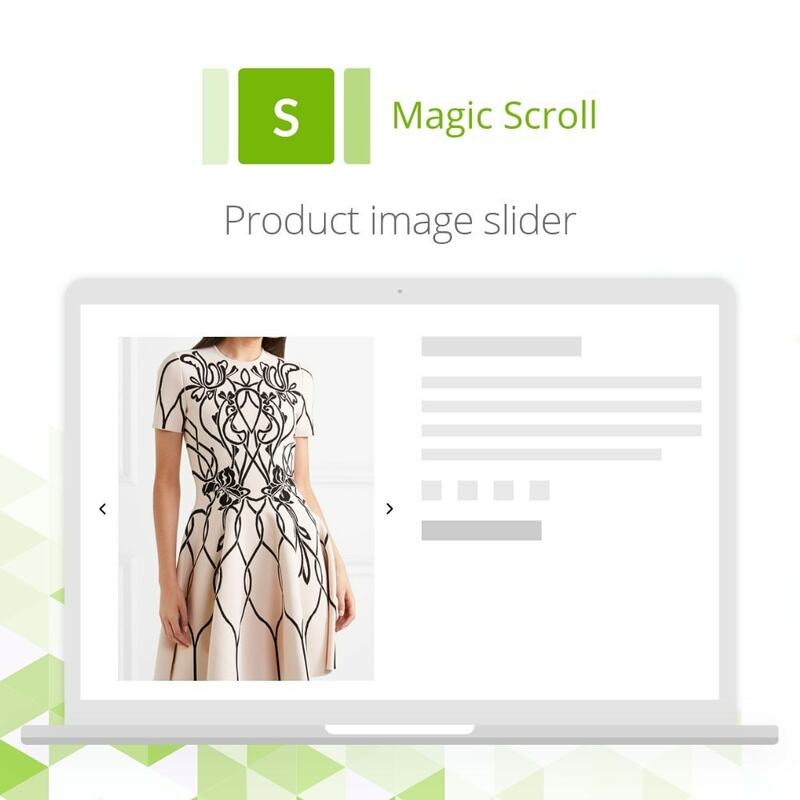 Scroll through images with the mousewheel or trackpad gestures. Simple and clean dot navigation to swap between images. Faster loading and smoother effects for a refined experience. A great way to keep your content moving: New products block; Bester sellers block + more. Magic Zoom Plus zooms AND enlarges images & includes product videos too. Hover to see a gorgeous zoomed image to the side; click to enlarge it and fill the screen. Switch between product images & product videos effortlessly. Compatible with all standard modules. Customers love an interactive site, so grab their attention with a carousel. Saves time – customers can peruse products in a section without clicking through to each page. Customers appreciate the 4 different styles of carousel. 1. 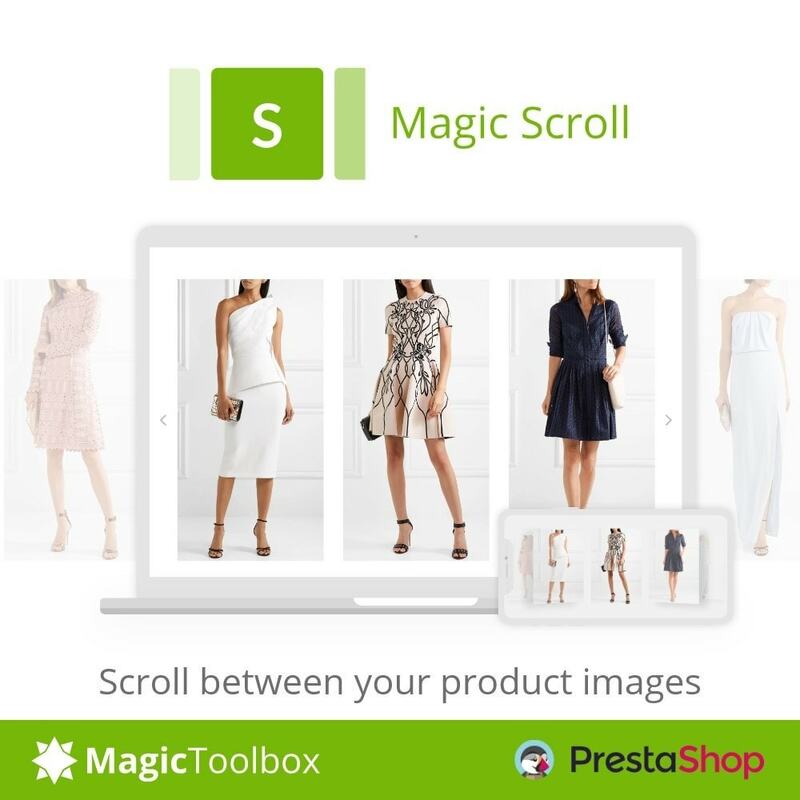 Download the PrestaShop module for Magic Scroll. 2. Either upload it via your PrestaShop admin area [Modules > Add a module from my computer > Module file > Browse > Upload this module]. Or unzip the file on your computer and FTP the 'magicscroll' folder to the /modules/ directory of your store, keeping the file and folder structure intact. 3. Activate the module via the Modules menu [Modules > Other Modules > Magic Scroll > Install]. 4. Magic Scroll is now installed! 5. Customize Magic Scroll as you wish [Modules > Other Modules > Magic Scroll > Configure]. Image zoomer & product video addon. See images appear in outstanding detail by hovering an image with Magic Zoom. Everything is customizable - position, size, you name it!